In January 2015 the Future of Life Institute (FLI) called for urgent research to avoid dangerous developments in Artificial Intelligence (AI) systems, in an open letter that attracted thousands of signatures including from prominent scientists in the field. The research priorities identified included autonomous weapons systems technologies and how meaningful human control over these can be maintained in the future. Tech entrepreneur Elon Musk donated $10m to fund the FLI’s research call, whose grantees were recently announced. Professor Heather Roff of the University of Denver won funds for a project with Article 36 to develop the concept of meaningful human control, highlighted in coverage of the FLI’s grants. The project will include building a dataset of existing and emerging semi-autonomous weapons, to examine how autonomous functions are already being deployed and how human control is maintained. Our work will also involve bringing together a range of actors including computer scientists, roboticists, ethicists, lawyers, diplomats and others for conceptual discussions and policy development around the principle of meaningful human control. This will be fed into current international discussions between states on addressing the issues raised by increasing autonomy in weapons systems, as well as informing academic research and industry. ‘Lethal autonomous weapons systems’ are currently being considered under the framework of the Convention on Certain Conventional Weapons (CCW), where Article 36 has suggested ways in which debate and policy development could be structured around consideration of meaningful human control. 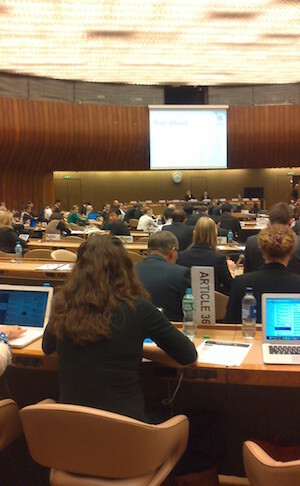 The principle of requiring meaningful human control over individual attacks has been advanced by civil society and others within this forum, and was a key feature of states’ statements and expert-panel discussions at the most recent CCW expert meetings in Geneva, including in the contribution from United Nations Special Rapporteur on extrajudicial, summary or arbitrary executions Christof Heyns. We have called on governments to explain how control is understood and ensured for current weapons systems. This is essential not only to informing discussion on autonomous weapons and assertions about the lawfulness of future systems, but to evaluating current conduct. This project will advance these considerations.